For those of you just entering the work force after graduating from college – first and foremost – congrats on graduating! It’s an exciting time to begin a new chapter and take new leaps of faith. It can also be daunting at times, with the vast number of options available to you as you begin your job search. For those who take advantage of internships, you can utilize what you learn to help you narrow down what you might be interested in – agency vs. internal, corporate vs. non-profit, etc. And for a lucky few, these internships could lead to a full-time position post-graduation. For others, we’re left with the boundless listings on job search sites such as Monster, Indeed or Media Bistro, among others. A tool that is often times forgotten or untapped, however, is Facebook. While it might seem silly, it actually works. I found my current job from a post on Facebook. 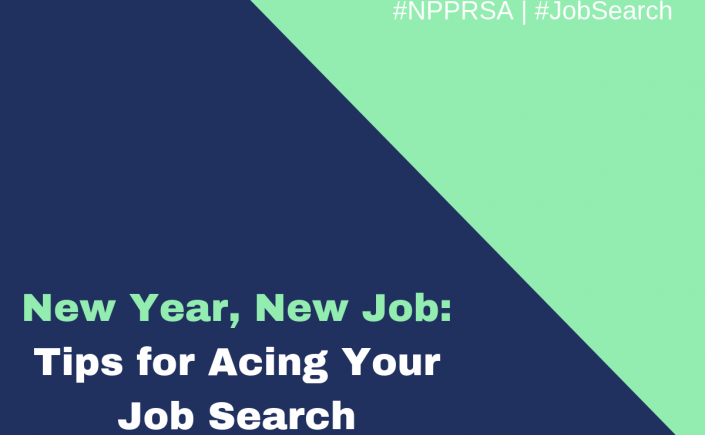 To help guide you in using this platform in your job search, here are three tips. While many will recommend you immediately change your privacy settings the day you graduate, it can work to your advantage to leave your profiles public. An employer can get a sense of who you are, your interests, and how you would fit in with the company. Additionally, you can amp up your presence by promoting your blog (if you have one) or further demonstrate how you stay on top of current trends with your status updates. Be sure to be authentic and genuine about this. But that also means you must be aware of what photos are tagged of you, what your friends post on your wall, etc. Bear that in mind if you do decide to keep your profile public. 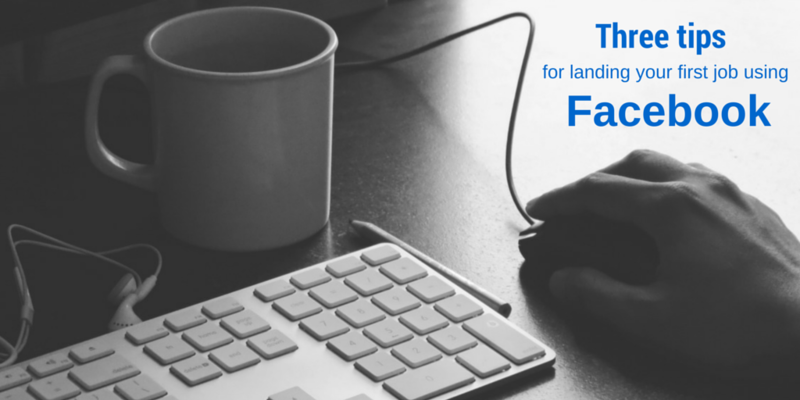 By going through and finding companies on Facebook, and liking their business pages, you can stay up-to-date on what’s going on in the office, the culture, and what clients they handle (if it’s an agency). 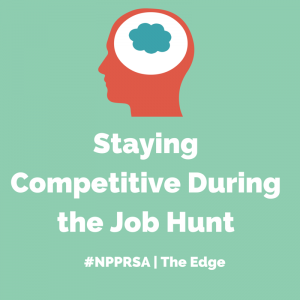 Most companies – especially PR agencies – will share when they are looking to fill a new position. If you already decided to follow them, you’ll be able to save the time you would spend deciding whether or not you would be a good fit for the company if you found the job listing elsewhere online. While you shouldn’t like every post that the company shares (this comes off as spam-my and frankly, annoying), by engaging with the company through likes and quality comments in moderation, they are more likely to recognize your name when your résumé hits their inbox. At the end of the day, social media is a large part of a PR professional’s job description. What better way to get your foot in the door with your dream employer than starting a relationship on Facebook? Have a tip on how to land your first job using Facebook? Share with us below! 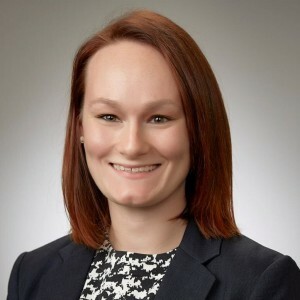 Shandi Huber is a senior account executive at Wordsworth Communications, a public relations agency in Cincinnati, Ohio. An enthusiast for all social media platforms, you can often find her pinning her dream closet on Pinterest or posting photos of her new puppy on Instagram. Connect with Shandi on LinkedIn and Twitter (@shandihuber). Editor’s note: The following recaps Laura Cardon’s experience at PRSA Colorado’s recent workshop. 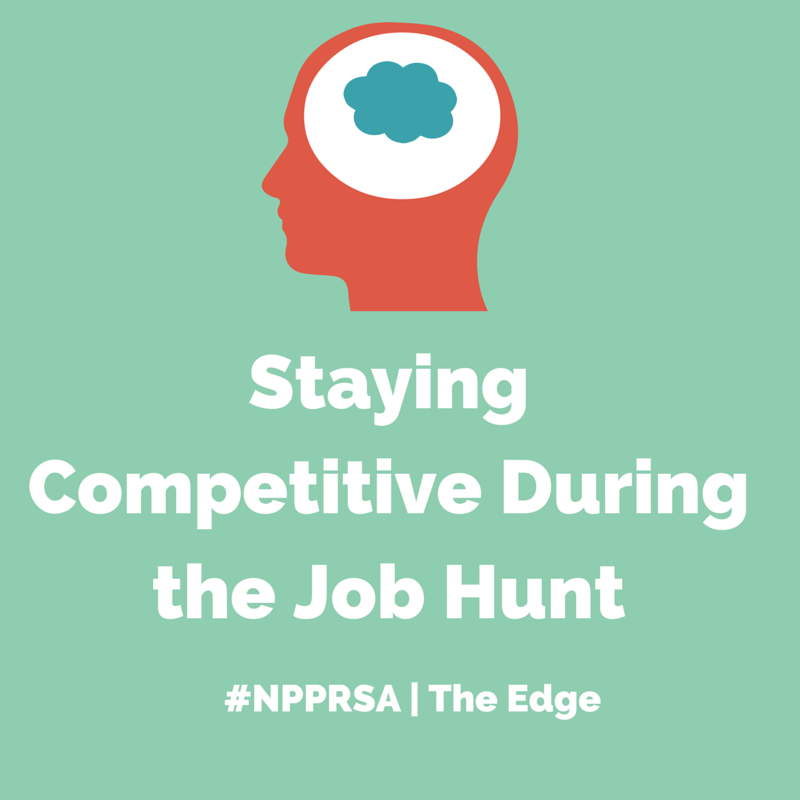 Find your upcoming local PRSA events here. After getting carded immediately upon entering the Mile High Moguls job search workshop, I suddenly realized I might be the only person in attendance that had graduated from college. This turned out to be true, but I considered the night a success despite feeling a bit out of place. Andrew Hudson’s job interview workshop was incredibly helpful, AND I discovered that I still look young enough to get carded! Create a personal brand that people want to be loyal to. It’s easy to forget that you have this skill set when you’re searching for a job. Multiple rejections, or even simply no response at all, start to wear on even the most upbeat person. But don’t get stuck in the quicksand – you have more control over your future than you may think. Andrew was quick to point out that you actually enjoy total control over several aspects of your job search, and that doesn’t just mean interview prep. You control all of these things, and if you do your homework and enlist the help of others for advice, your chances of getting an interview increase exponentially. Once you’ve made it into that interview, Andrew emphasized that you want to be a sigh of relief for your interviewers, that “ahh” feeling when they realized they have found exactly who they need. You are the solution to their problem. How do you present yourself as that sigh of relief? Make it clear why you are the best candidate, backed up with specific examples of relevant work and how you will add value to the company or organization. For example, don’t say you’re hard-working. Everyone is hard-working. Show your interviewers how you are hard-working based on a story you can tell about a time you’ve gone above and beyond. If you’re not currently employed, it’s easy to get a bit lazy, but you’re much more likely to be successful if you treat your job hunt like you are going to work each morning. Andrew suggested making a routine – spending x amount of time on cold calls, actively searching for jobs, interview prep, etc. Don’t forget that looking for a job is a skill that can be developed. And under no circumstances forget to send a written thank you note to your interviewer! Andrew Hudson’s Job List is an excellent resource for job seekers in the Denver metro area (it’s actually where I found my job). Just to be clear, none of the above advice is my own – it is all based on Andrew’s workshop and his fantastic advice. Linhart PR was kind enough to host us for the Mile High Moguls event, which benefitted PRSSA at Colorado State University. For more information about PRSA Colorado, visit www.prsacolorado.org. Laura Cardon is a public relations professional living in Denver, CO. 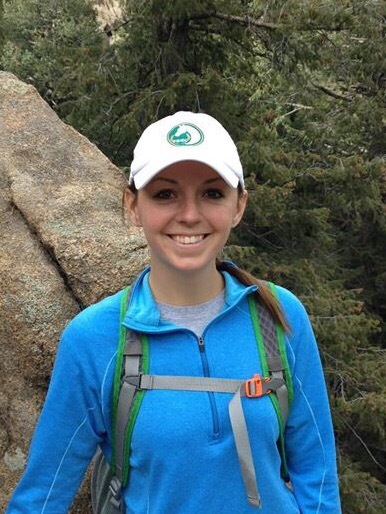 Originally from Maryland, Laura enjoys riding horses, hiking, and volunteering at the Denver Animal Shelter. In her spare time, Laura also shares her passion for the great outdoors with fellow beginner outdoors enthusiasts on her blog, Outdoors Beginner. Find her on Twitter @LauraCardon23. The process of applying for jobs can be overwhelming whether you’re a recent college graduate or a professional transitioning to a new role in an entirely different industry. As a college senior, it was very easy to feel defeated after applying to a number of jobs and not receiving positive feedback from the other end. 1. Continue Gaining Experience. If you’re not employed while seeking a new position, it can be difficult for employers and recruiters to gain a serious interest in you. As frustrating as it sounds, you oftentimes need experience to gain experience. In order to practice the skills required for your dream job and continuing to build your resume, think about volunteering or interning while applying to jobs. Volunteering for a non-profit whose cause you are genuinely passionate about is a great starting point to apply your skills. Interning for a startup or small consulting group in addition to guest blogging on relevant topics can also provide relevant experience. 2. Learn New Skills. For some candidates, transitioning to a completely different industry presents a challenge of proving to a recruiter or hiring manager that you have the right skill set to meet their needs. To overcome this, take advantage of workshops, seminars and boot camps that provide immersive crash courses in your field of interest. Check out free resources such as blogs, LinkedIn publications and online journals as well. For more technical skill building, it’s helpful to watch videos either on YouTube or other subscription-based services. By showing that you’re committed to immersing yourself in a new industry, hiring managers will have a better chance of seeing you as a competitive candidate. 3. Stay Inspired. Like millions of people out there in the world, I have a list of ten dream companies that I hope to work for in my lifetime. From this list, I search for the roles I’m interested in at each company, and then do a bit of research on LinkedIn regarding the people who are in that particular department and the experience and skills needed for the position. This effort truly motivates me to continue working towards my ultimate “dream job”. This could also potentially develop great leads and introductions via LinkedIn with people you would like to have informational interviews with to discuss your interests. 4. Network and Make New Contacts. Using referrals and connections is a great way to get your foot in the door of a company and get a chance at landing an interview. If you don’t have a wide network of contacts or are trying to gain contacts in a new industry, you can utilize LinkedIn, personal relationships and networking events to start building your connections. On LinkedIn, you’re able to showcase your achievements and experience and reach out to the recruiters and directors of the department at the company you’re interested in. Here, you have the chance to introduce yourself and also ask for advice on how someone got to where they are now. Don’t forget to take it offline, though. Networking events, informational interviews and career fairs are great resources to make a personal connection with recruiters. 5. Set Measurable Goals. Project management can definitely apply to the process of applying for jobs. Organization, prioritization and time management are key to staying sane in this process. These elements all aid in the tracking of applications and interviews you have lined up. With other tasks outside of only applying for jobs, it is important to set measurable goals. For example, it can be a very realistic goal to apply to three to five jobs a week depending on your other priorities, while dedicating the rest of your free time to attending networking events and learning new skills. Setting these reachable goals also prevent you from getting burnt out. Rather than doing too much to the point that you get discouraged, it’s beneficial to pace yourself especially in a stressful time like finding a new job. What else have you done when applying for a new job? 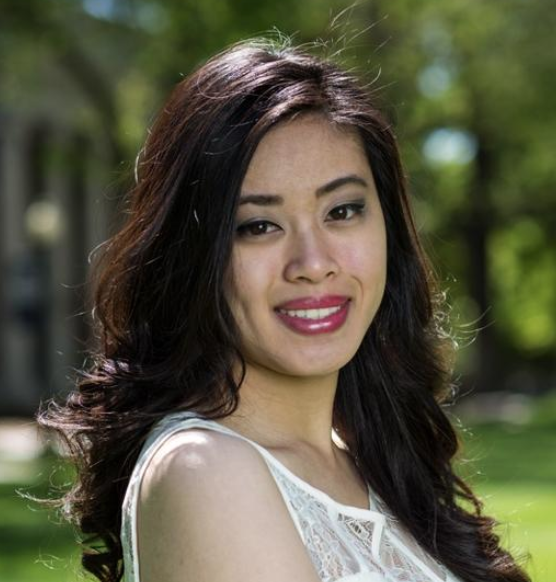 Jenelle Yee graduated from the University of Nevada with a bachelor’s degree in finance. Upon completing her degree, she relocated to Austin, Texas for a role in internal audit at a technology company. She has written pieces for Intern Queen Inc. and Lauren Berger Inc., providing career and internship advice to young professionals. 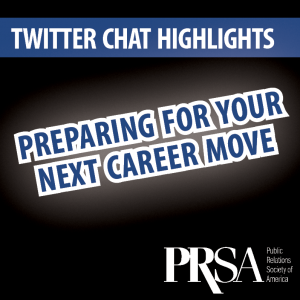 We’d like to thank everyone who participated in the August #NPPRSA Twitter chat focused on how PR professionals can prepare for the next shift in their career. We discussed how to lay the ground work for career growth, considering both internal promotions and jobs at new companies. Specifically, we’d like to thank our special guest for the evening, Ron Culp, Instructor and Professional Director of the Graduate Public Relations & Advertising Program at DePaul University. Ron also manages the industry leading blog Culpwrit for new professionals establishing a career in PR. Join us again on September 4 for our next #NPPRSA chat. Review highlights of the chat below. What did you learn from the August chat? 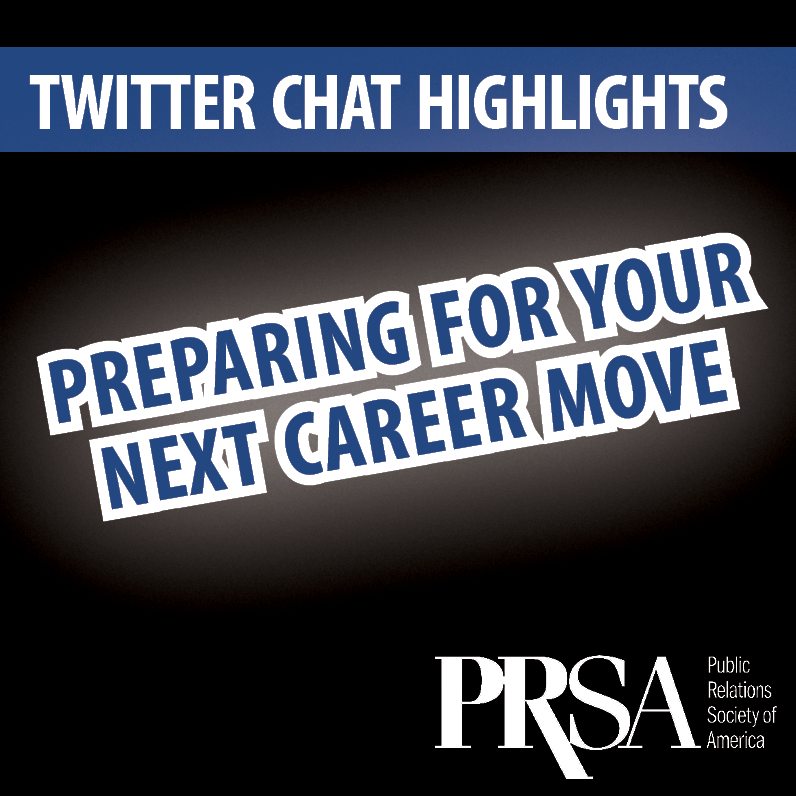 How can you prepare for your next career move? What can you do to broaden your experiences in your current position to be considered for a promotion? 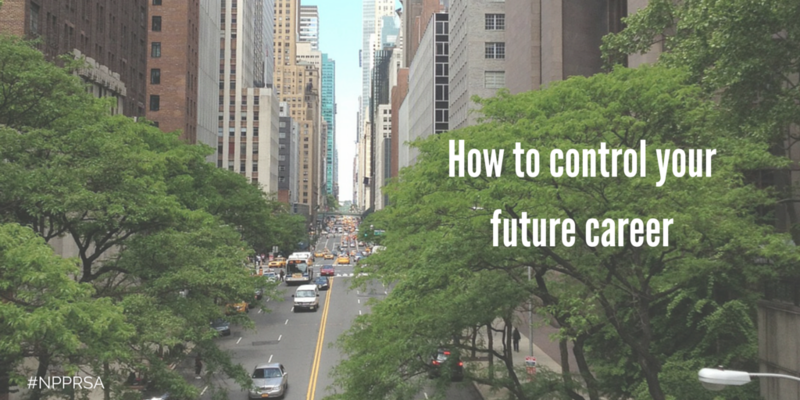 What should a PR pro do if they don’t see a future for career growth within their company? 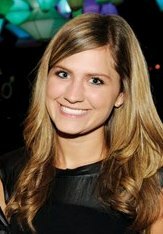 Amy Bishop works in digital PR and marketing for DigitalRelevance, a content promotion agency. 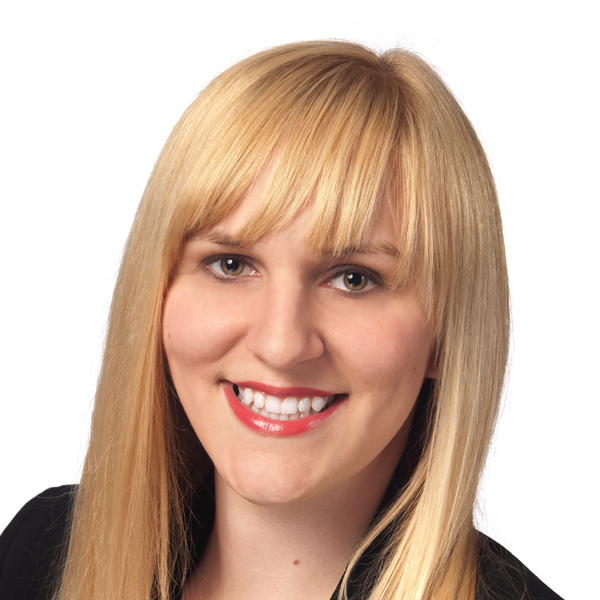 She is also Social Media Co-Chair for the PRSA New Professionals Section. Read her insights on customer experience and social business on her Marketing Strategy blog. Connect with Amy through Twitter, Pinterest or Google+.